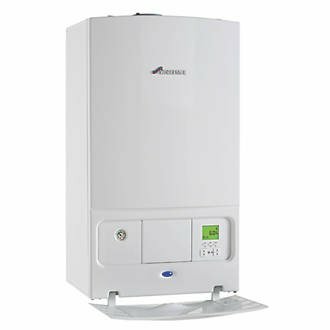 Unless your plumber has quoted you on 5 different boilers, you will be wondering whether to buy Ideal or Worcester Boiler at some point in your buying decision process. A lot of that is down to brand reputation in the UK, and consequently word-of-mouth advertising: “My Ideal’s been working perfect for the last 15 years mate, just get an Ideal!” You’d normally want to get a second opinion from a boiler engineer, installer or your local plumber about which they think is better, Ideal or Worcester Boiler? You’ll get a variety of different answers, and with more boilers and brands thrown into the mix, it may even muddle your decision-making process further. Ideal Boilers started in 1906, and have been active for over 100 years manufacturing one of the most sold boilers in the UK. 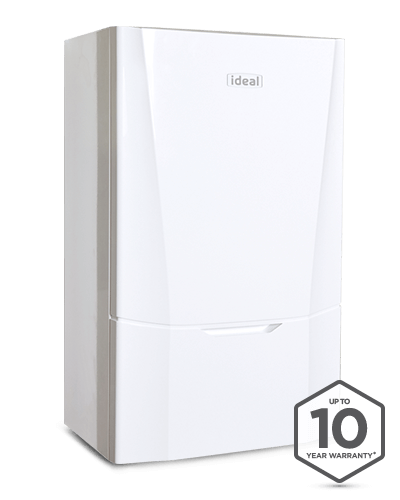 Ideal are known for making good value for money boilers, which may not be premium or best in the market, but last long enough to justify your initial investment. Acquired by Robert Bosch GmbH in 1992, Worcester Bosch have become the market leader for boilers in the UK. Cecil Duckworth started the company in 1962 as an independent business. They enjoy brand loyalty in the UK because of build quality, reliability and availability of parts. Probably also because of the Worcester name. Installers like them too, and because they’ve been active for so long, availability of parts and spares is no issue either. For an online quote including boiler, installation and extras, please enter your postcode below and hit the green button. Both boilers are well-made and known for quality. Worcester Bosch Boilers are quieter than Ideal. Worcester Bosch have better brand reputation in the UK, and are known for their reliability and longevity. Ideal’s new line of boilers are impressive, but are too new to properly judge. Higher water flow rates on Worcester Bosch boilers. Better customer service from Worcester Bosch + dedicated line for installers. Both boilers come with an aluminium heat exchanger. Both brands offer 10 year warranties but with stipulations. To get a 10 year warranty from Worcester Bosch, you have to fit their own controls and filter. Ideal’s 10 year warranty can be obtained by getting an accredited installer to install it. Ideal boilers are on average up to £300 cheaper than Worcester Bosch. Buy Worcester Bosch if you’re looking for higher flow rate and better customer service. Buy Ideal if you want to save up to £300, and enjoy the same 10 year warranty as Worcester Bosch. Their internal components are almost identical (aluminium heat exchanger etc.). A lesser known brand in the UK, Viessmann are huge in Europe and Germany. Titans in the commercial heating space, the Millennium Stadium in Cardiff is powered by Viessmann. After having conquered the German and European markets, they made their foray into the UK domestic boiler about 26 years ago, and have since gradually increased their market share every year. Last year, Viessmann was awarded “UK Best Buy” by one of the most prominent consumer research bodies in the UK. Only two other boilers made the cut, Vaillant and Worcester Bosch. 1. Patented Inox-Radial Stainless Steel Heat Exchanger. Manufactured in-house. This technology is patented by Viessmann. And because it’s stainless steel, you already know that it’s vastly superior to the aluminium heat exchanger inside Ideal or Worcester Boiler. Stainless steel is highly corrosion resistant during its long service life. It also operates at an extremely high 98% efficiency with exceptionally safe and efficient operation. And because stainless steel lasts longer than aluminium, a Viessmann boiler will last longer and be more energy efficient during that time compared to an Ideal or Worcester Boiler. 2. 10 Years Warranty on Boiler and Stainless Steel Heat Exchanger. 3. Cylinder Burner and Thermal Stores made of Stainless Steel. 4. Combined PRV and Condensate Connection. Installation is faster, simpler and more cost-effective as the pressure release valve (PRV) and condensate connection are combined, and long runs of additional piping are no longer required. Fast and simple installation, saving time and expense. Built in safety device meaning no discharge pipe for DHW cylinder is required. No exterior PRV drip/stain as it feeds into a single cold water pipe. One less pipe to penetrate the building fabric. 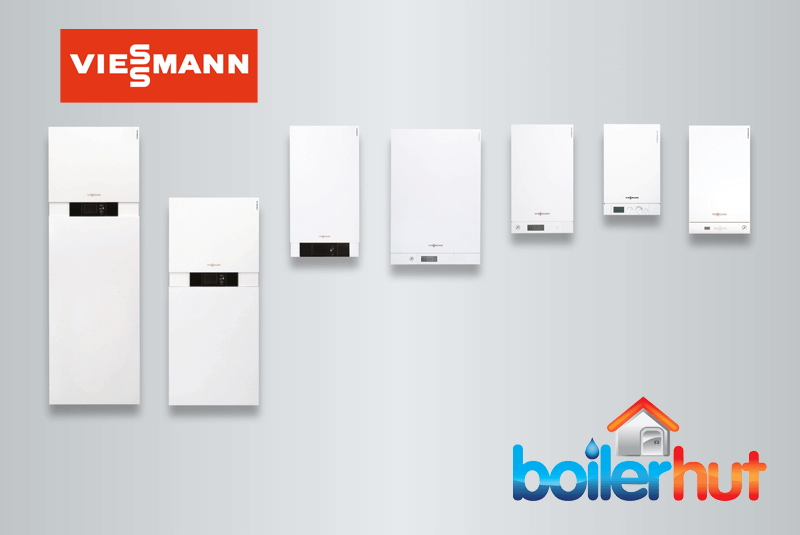 The Viessmann 050-W is comparable to the Ideal or Worcester Boiler models shown above. The 100-W is a higher end model with stainless steel Matrix Cylinder Burner and 10 year warranty throughout. Viessmann offer a more attractive price point because they manufacture most of their internal parts in-house. Whereas other manufacturers source theirs from third party manufacturers. You can get a free, no obligation quote for a Viessmann Boiler installation including all extras.